Solid cooling performance for my well-overclocked system. 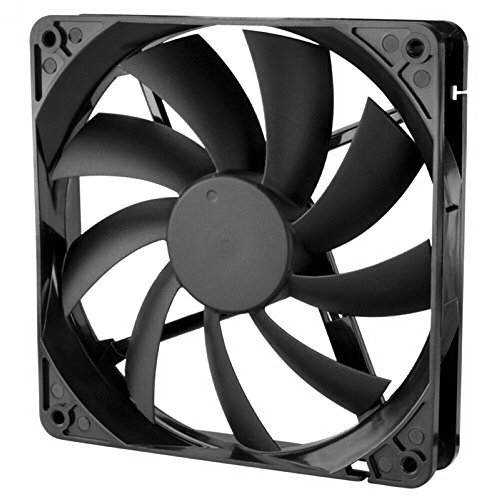 Only issue is finding corsair 140mm fans. Had to purchase sleeves to mount SP 120s to this baby, but I haven't seen any performance issues since day 1. 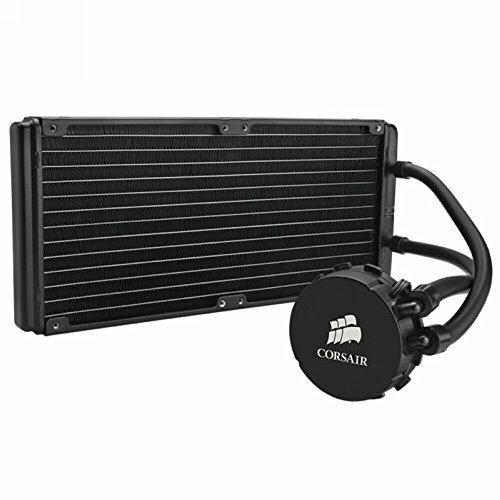 Will stick with corsair for all my cooling needs. Shame on me for not noticing that this one didn't have a LED on the water block, but the performance is otherwise amazing after replacing the OEM fans with Noctua 140mms. Bulky and loud, but very effective. 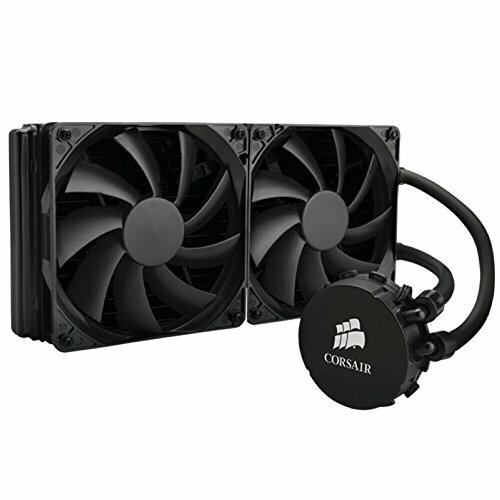 Make sure you've got the right case for your intended cooling configuration because even in Corsair's 750D this thing barely fits and will not allow a push/pull configuration in the top position with a full ATX motherboard. Stock fans are good. H110 combo with Air 540 suits perfect. because it's my first build. 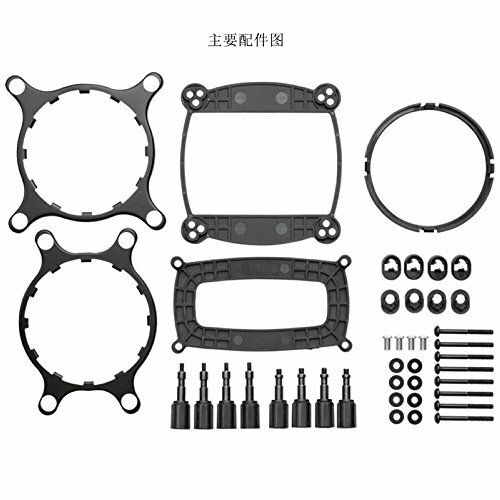 i spent 2 days reading description and thought carefully how to take fan to right direction. the in-air or the out-air. 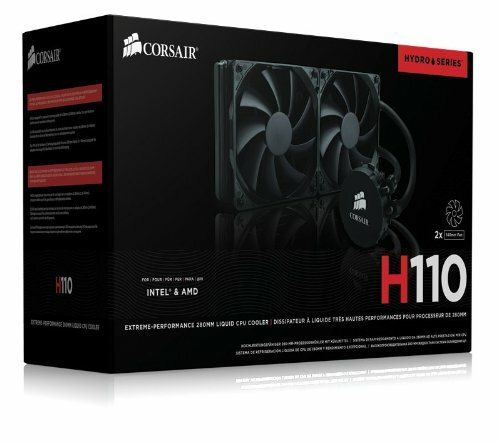 in-air makes the air flow much higher but also blow the hot air directly to the graphic cards. and it's also bring a lot of dust into the case. so i bought 4 screws to switch to the out-air direction to keep GPU cool. in the same time the CPU doesn't even heat much. when i didn't overlocking the CPU it's normally under 60 Celsius running at a usage of 80% at 27 Celsius outside, which it's really amazing compared to wind-cool fan. I Love Me some Corsair, keeps my 4790k cool, and happy. stock fans were louder than i liked, So i threw some corsair sp140s and now its whisper quiet. Huge pain in the *** to install. Having to awkwardly hold the fans while trying to put the radiator on and then screwing everything in is...fine. The part that really got me was screwing the CPU end in. The metal bits that aren't supposed to move in the back just keep rotating! I had to use needle nose pliers to hold them! And then I couldn't even fit all four corners in the screw holes because of the stupid plastic pieces that I had to put on. I ended up taking those off. Everything is attached now, with the exception of those plastic bits. The fans are a little loud but overall it works well and keeps the CPU cold. Had it for a 6 core Xeon computer I was going to build but ended up not building that. Works pretty well. 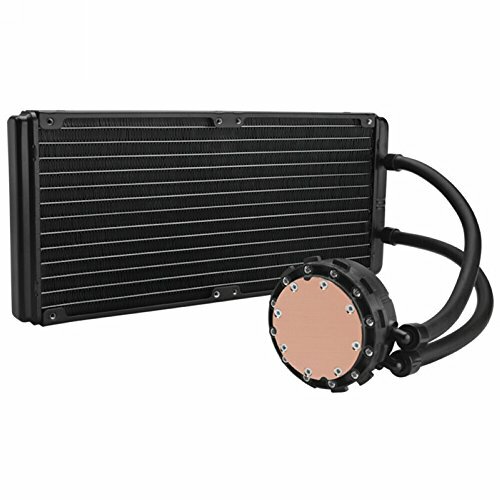 Keeps the CPU cool. The only thing I would say is that the pipes are too short and so are the fan wires. They barely reached the connections on the nearest side of the motherboard. no leaks or issues at all over the course of a full years usage, 3 years of storage, and now a weeks worth on the new system. I originally was terrified after hearing the gurgles and gargles of the air bubbles coming out. Keeps the CPU under 60 under heavy gaming sessions, what more could you ask for? ?